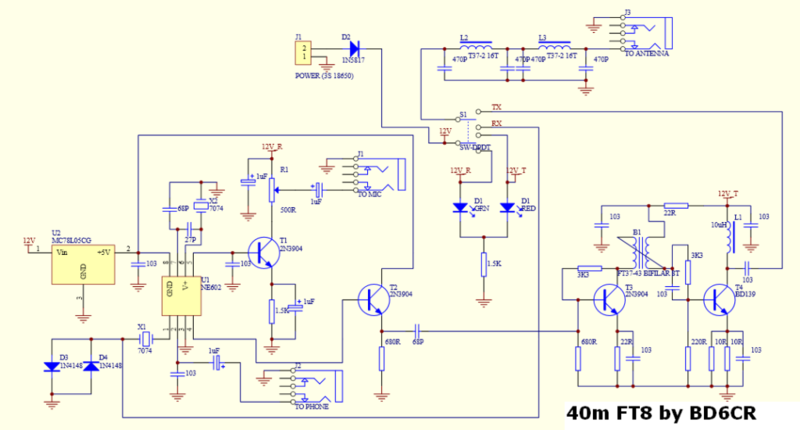 Adam Rong BD6CR has designed a simple DSB Transceiver for FT8. Crystals are available for 7.074 MHz. and 14.070 MHz (which can be “pulled” with a trimmer to 14.074 MHz). 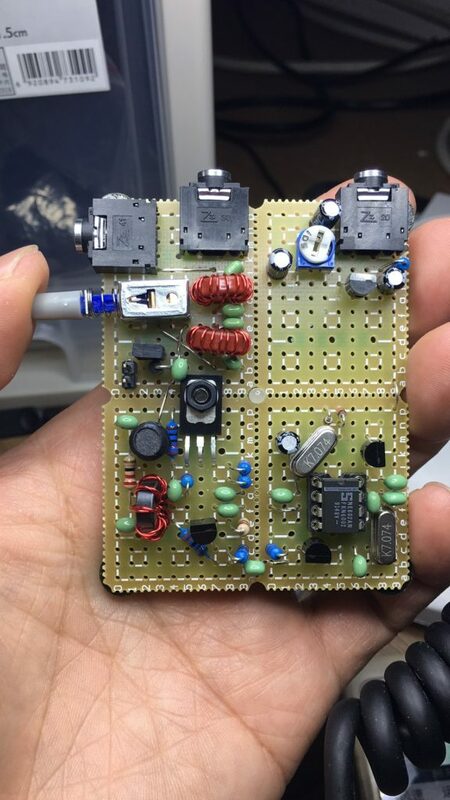 Using only 4 Transistors, 2 IC’s, 3 Toroids, 5 Diodes/LED’s and a handful of resistors and capacitors this one watt wonder will get you on the air in no time. One could build this on Perfboard (see above), or use Ugly/Manhattan style construction. There are no plans for a circuit board. For more info check out crkits groups.io. Wow! Thank you for sharing this Pete. I’ll have to give this a go myself! This entry was posted in FT8, Homebrew, News and tagged FT8, Homebrew FT8, Pete (WB9FLW). Bookmark the permalink.